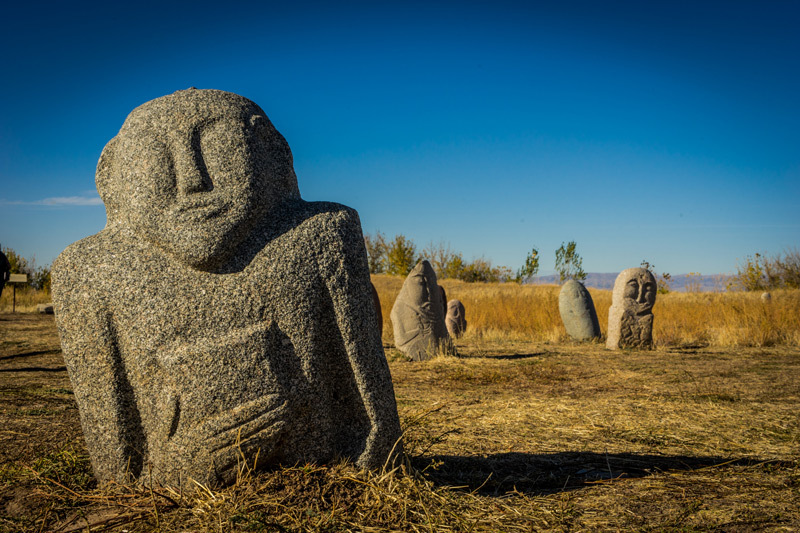 A 1-day tour programs to Kyrgyzstan offer you to visit one of the picturesque indigenous corners of Kyrgyzstan. For those who wish to take walk in Bishkek a special guided tour is available. One-day tours are excellently suitable as an option for week-ends. Ala Archa gorge. 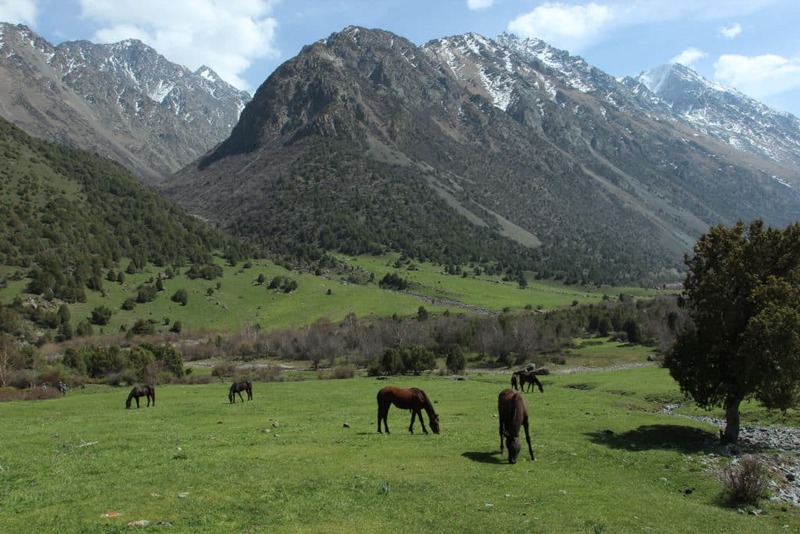 35 km from Bishkek there is one the most visited national parks of Kyrgyzstan Ala-Archa. 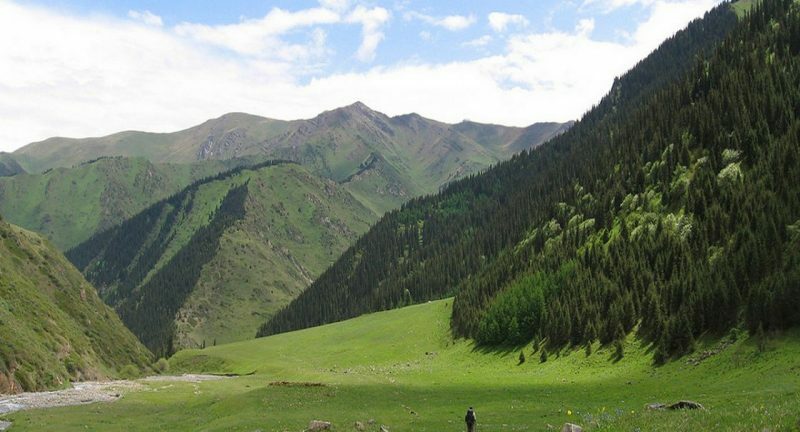 There, in the territory of 20,000 ha, a variety of coniferous woods and spruce forest intersticed with rivers and mountain scene appeal to the eye of the travelers. After breakfast in Bishkek transfer to the Ala-Archa National Park (40 km). You will be in the alpine gorge through which the fast flowing Ala-Archa River runs. The gorge is flanked by tall, snow-covered, peaks with steep-sided, forested, mountain slopes. You will start your walk (3,5 km) from the alpine camp (2200 m) to Ak-Sai waterfall–the height is 35 m (2700 m) – by the path which goes through conifer forest and alpine meadows. Return back to the alpine camp. Transfer to Bishkek. Alamedin gorge. A beautiful Alamedin gorge in the outskirts of Bishkek is covered with forest berries and mushrooms in summertime. There, you will have a picnic at the background of bright mountainous landscape and green meadow and birch wood growing nearby. After breakfast transfer from Bishkek to the Alamedin gorge (40 km). 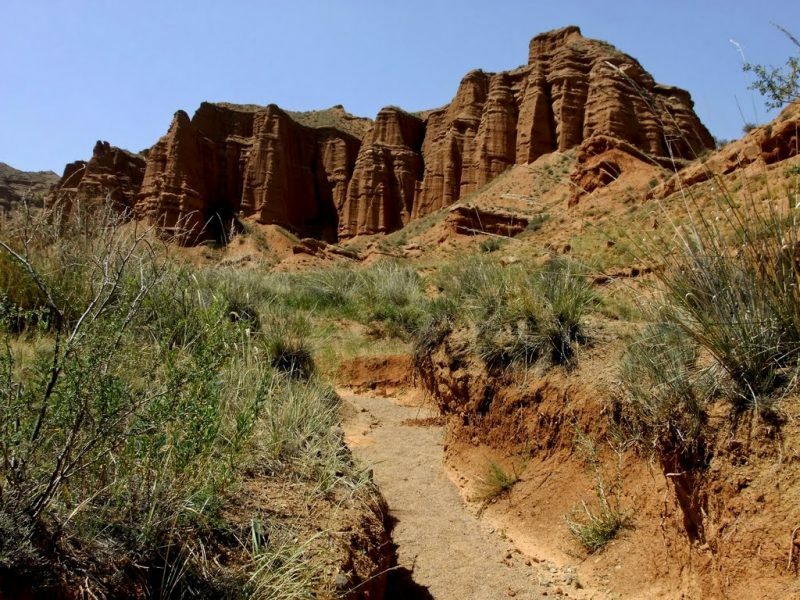 The Alamedin valley is one of the most striking features of the Kyrgyz Krebet, just South of Bishkek. You will be in a beautiful alpine valley – ideal for a day trip out from the city – and there is a trekking route over the mountains. There are glades with berries, mushrooms, juniper and birch forests and views of glaciers and the Usechenko peak (4650m), as well as a number of other canyons to the East. Transfer to Bishkek. There is a very beautiful waterfall which measures 60 m in height. The road to the waterfall as if drawn from a children’s fairy tale: the sides of the mountains are covered with bright green grass and strew with flowers and berries. Transfer from Bishkek to Belagorka gorge (80 km). Hiking to the waterfall through the picturesque forest. 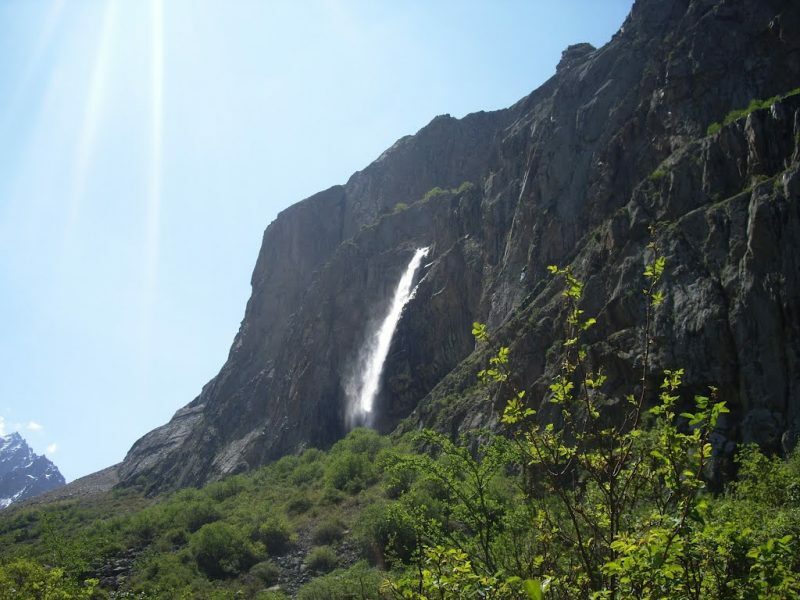 The waterfall (60m high) is the biggest one on Kyrgyz mountain range. People call the waterfall – Pigeons waterfall. Picnic lunch. Transfer back to Bishkek. Issyk Ata and Burana. 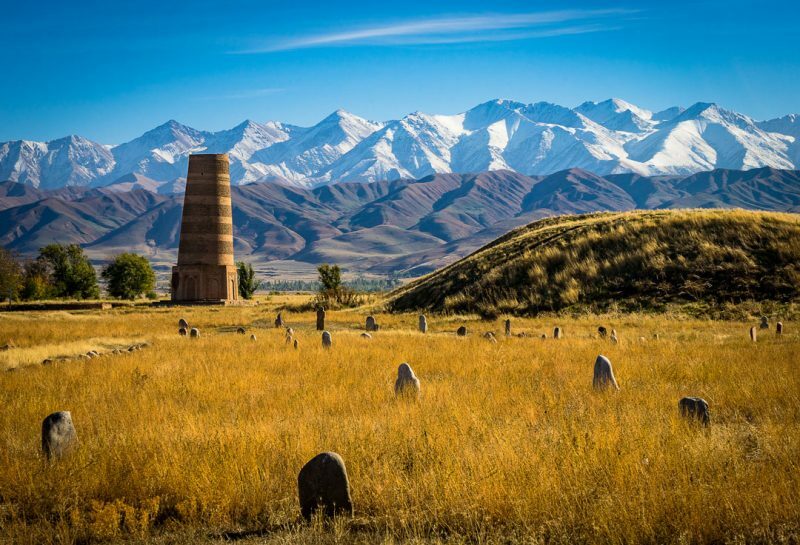 You will see the ruins of ancient Balasagyn and Burana Tower, built in the XI century. 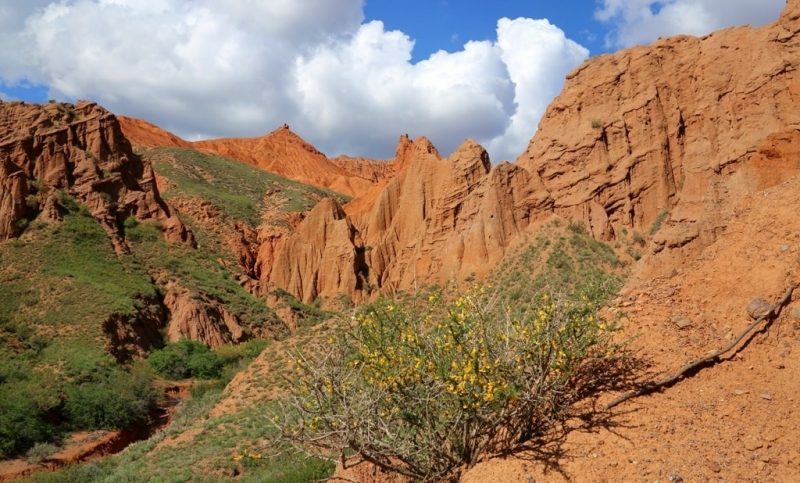 Upon delicious lunch in the Kyrgyz village you will go to excursion to Issyk-Ata gorge with healing thermal sources. Start the trip from Bishkek. First stop is Burana tower, historical complex, which marks the original site of the Karakhanid town, Balasagun. Transfer to Tokmok town where you will have lunch in the local family. 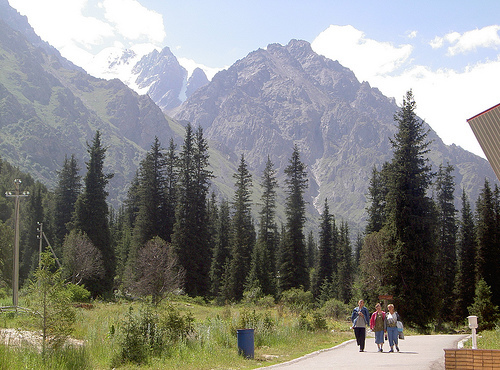 Continue driving to Issyk Ata gorge where you will have the chance to walk up the gorge, enjoy the beautiful panorama of the mountains and see the waterfall. 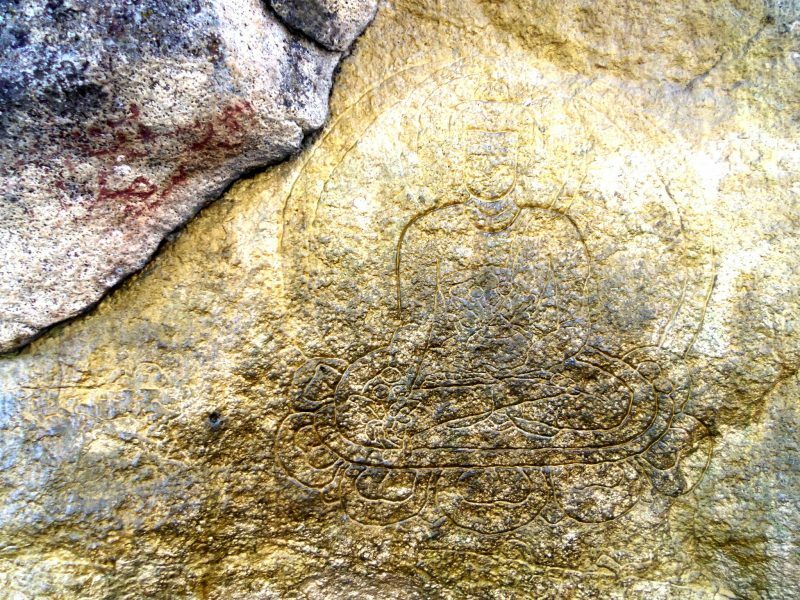 There you may also the take a radon bath at the sanatorium which is located nearby in the gorge and visit a Budda Stone. Arrival in Bishkek in the afternoon. Shamsy gorge. It is a small horse ride to picturesque Shamsi gorge and Toru-Kajyn gorge. It is an excellent opportunity to have a rest from the city and spend time in the open mountainous air.